This 3,5 hour extreme buggy tour adventure let’s you explore the beautiful nature of South Iceland. You will be driving on narrow rivers and over streams and rivers. 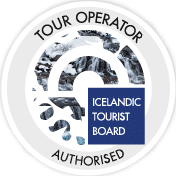 If discovering the beautiful scenery of South Iceland in a powerful open air buggy car sounds good to you, then this is the tour for you. Your tour will start in the town of Hella where you will meet up with your guide at Buggy X-treme base camp. There you will get all geared up and safety instructions will be given. You will get helmets, balaclavas, gloves and high-quality overalls to make you feel comfortable on the way, no matter the weather. You will then start your adventure and head in to the amazing nature of South Iceland. Please note that it is possible to make this tour a private tour. A minimum of 2 people is required and an extra cost of ISK 70.000 to secure the tour just for you and yours. You can click on “Make this tour private” in the booking widget and add the number of people that wish to join the tour.